When sleuths make a mistake it's important to retrace their steps to find where they veered off course. 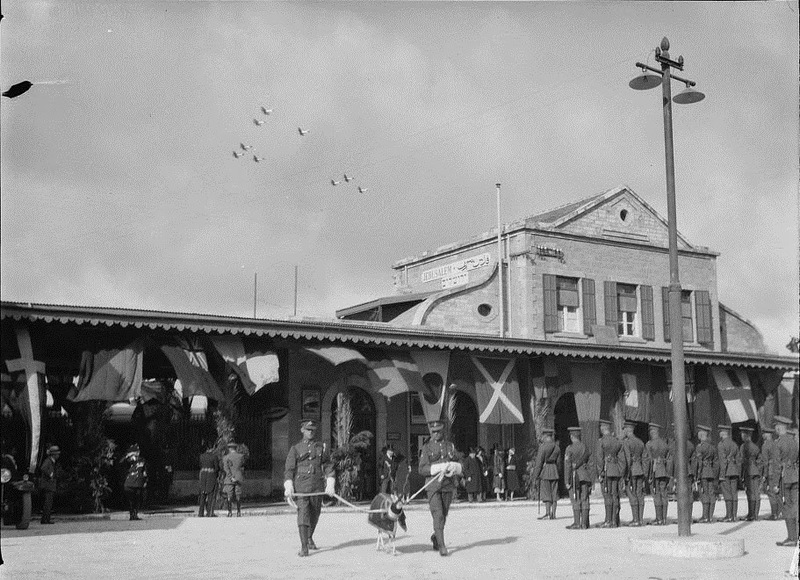 This photo of the Jerusalem train station, captioned by the Library of Congress as taken between 1898 and 1946, was correctly dated here last week as 1931. 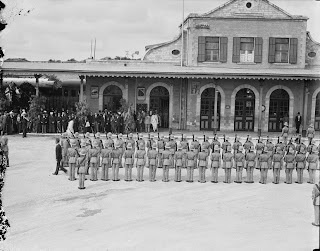 But the photo is not of the arrival of the new British High Commissioner Sir Arther Wauchope in November 1931 to replace Mark Aitchison Young. 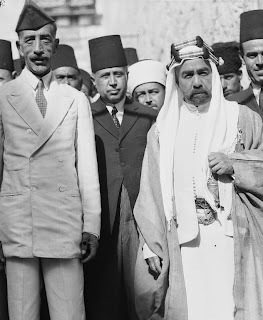 Instead it shows the arrival of King Feisal of Iraq, coming to Jerusalem in December 1931 to attend the World Islamic Congress, convened by the Mufti of Jerusalem, Haj Amin el Husseini. 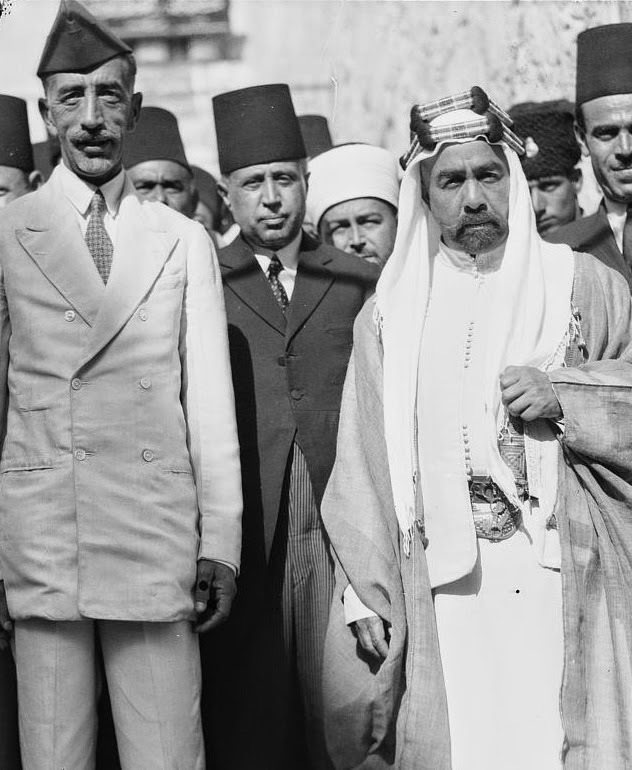 Husseini had two goals: to be named Caliph of the Muslim world and to showcase his new luxurious Jerusalem hotel, the Palace Hotel. 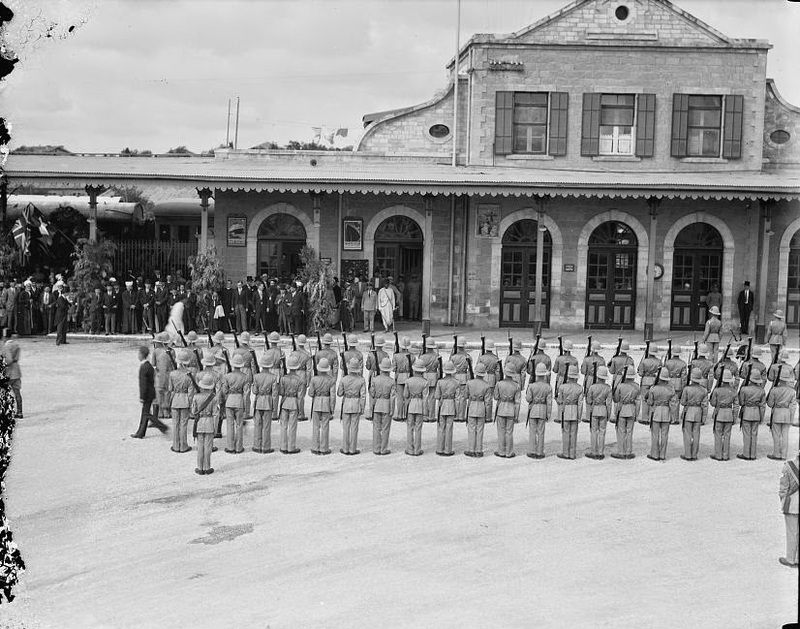 We thank Chen Melling, manager of the Israel Railway Museum, for helping to put us back on the "right track." 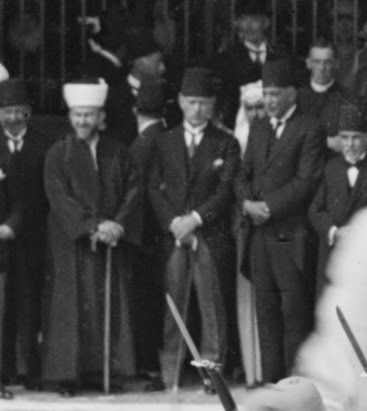 The theory that the picture was taken late on a Friday afternoon was suggested to explain why no Jews were present for the arrival of the high commissioner. But now it is easy to understand why Jews did not attend a ceremony for Arab dignitaries to a Congress that would assail the Jewish presence in the Holy Land, saying, "Zionism is ipso facto an aggression detrimental to Muslim well-being, and that it is directly or indirectly ousting Muslims from the control of Muslim land and Muslim holy places." We surmised that the dignitaries were looking west into the setting sun. 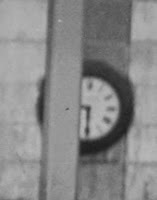 Actually, they were looking east at the rising sun, and the clock showing 9:30 confirms it. 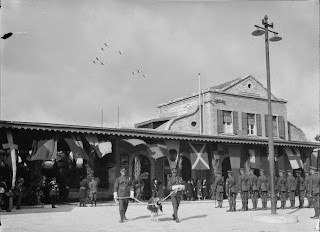 The British honor guard was standing on the square in front of the station, and a train can be seen behind it on the left, as pointed out by "Hillel," a faithful reader. A 1926 train schedule provided by the Israel Railroad Museum confirms that the arrival ceremony would have taken place at 9:30 am, 20 minutes after the arrival of the train. 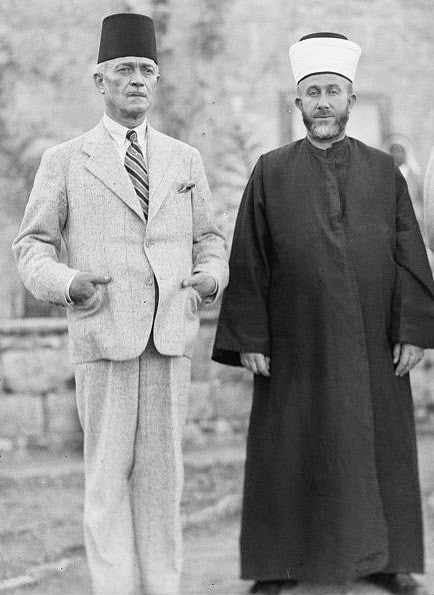 Jerusalem's dignitaries, led by the Grand Mufti, Haj Amin el Husseini, and the Mayor of Jerusalem, Raghib al-Nashashibi, were on hand to receive the King of Iraq. Special thanks to Zvi Bessin, tour guide, for his cooperation in finding the solution to this mystery photograph. Click on captions to view the originals photos.